Vishweshwar had in 2014 declared family assets worth over Rs 528 crore while contesting as a Telangana Rashtra Samithi candidate. 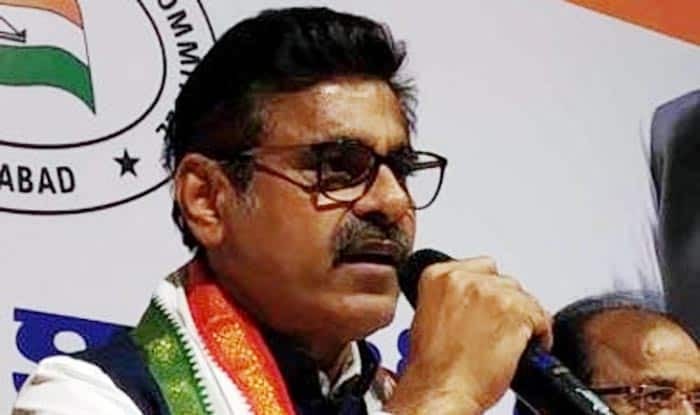 Konda Vishweshwar Reddy, the Congress party candidate from Telangana’s Chevella Lok Sabha constituency, has declared family assets worth Rs 895 crore, making him the richest politician in both the Telugu states. Vishweshwar Reddy owns movable assets of Rs 223 crore, while the movable assets of his wife K Sangita Reddy, Joint Managing Director of Apollo Hospitals stood at Rs 613 crore. The movable assets of their dependent son were nearly Rs 20 crore. The engineer-turned-politician, who also has immovable assets of Rs 36 crore while the same of his wife are valued at Rs 1.81 crore, submitted an affidavit declaring his and family assets while filing nomination on Friday. In 2014, he declared family assets of over Rs 528 crore. He had then contested and won as a Telangana Rashtra Samithi (TRS) candidate. He joined the Congress on the eve of the Assembly elections last December. Andhra Pradesh Cabinet Minister P Narayana, who owns the Narayana Group of institutions, also declared family assets of Rs 667 crore on Friday while filing nomination for the state Assembly from Nellore constituency. Andhra Pradesh Chief Minister N Chandrababu Naidu declared family assets worth Rs 574 crore while YSR Congress Party chief YS Jaganmohan Reddy and his wife own assets over Rs 500 crore.